Lubriderm, known for their vast array of skincare products developed by dermatologists, has introduced a 3-in-1 lotion for Men. 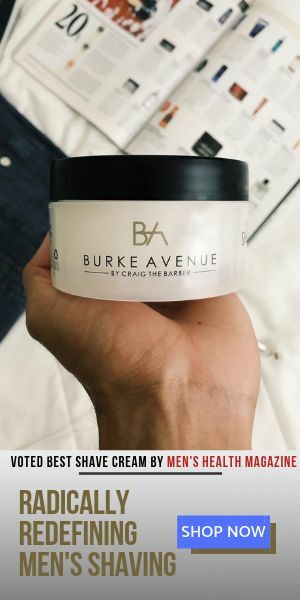 This new product boasts the ability to specifically take care of the Body and Face as well as cover your Post-Shave needs. It comes in two versions, “light fragrance” (pictured) and “fragrance free”. They both performed well as moisturizers for my body and face, however I wasn’t impressed with it’s “Post-Shave” performance. In a bind-yes, but as your daily aftershave balm, I would have to say pass. So all in all, I think that it’s a very good 2-in-1 lotion that not only has a great price tag (less than $7), but because it coats well, will also allow for it’s 16oz to last you a while! Of the two, I preferred the lightly fragranced version the best. Give it a shot and let me know how it works for you.